Shooting behind the scenes for ‘Wanted for Love’ campaign and photographed by Erwin Olaf in his studio. He is one of the most famous photographer Europe. Thanks to Hivos and Human Rights Watch (HRW) for inviting these individuals who’ll be presenting their work during the Amsterdam Pride Week. 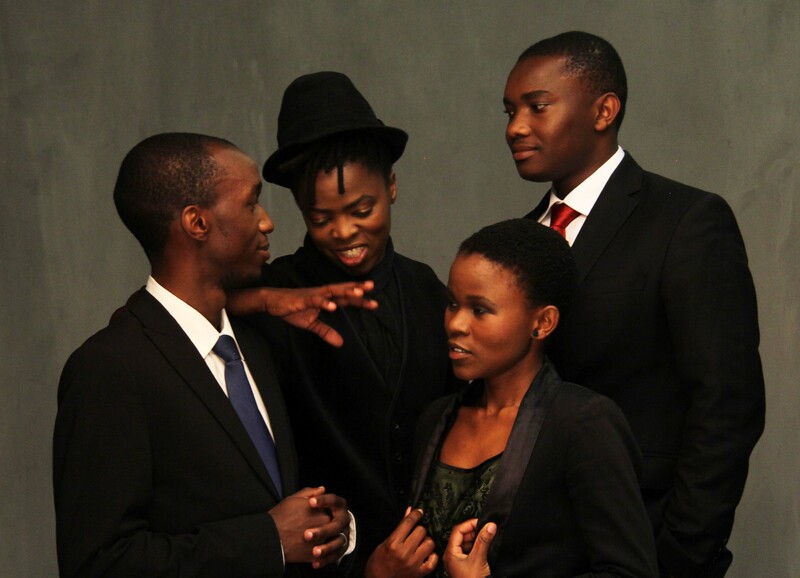 L-R: Anthony (Kenya); Muholi (South Africa) Lame (Botswana) and Adrian (Uganda). Camera used: iPhone 4 and retouched with Instagram. Expect more from our Amsterdam diary leading to the biggest 2013 Amsterdam Pride. Image | This entry was posted in Another Approach Is Possible, Archived memories, Photography, Writing is a Right and tagged Activism; Amsterdam; Hivos; Human Rights Watch; Life stories; Visual history; Human beings; Community; Mobilizing; Speaking out; Africa; Botswana; Kenya; Uganda; Education; Openness; Creating awarenes. Bookmark the permalink.